It’s time to switch on the fun! Vita Perfetta Mario Kart Switch brings all the wacky charm of the raceway right to your party with the power of the Nintendo Switch. Up to 8 players at a time can compete for the cup in the latest and greatest in Nintendo’s classic series of family friendly kart racing video games. 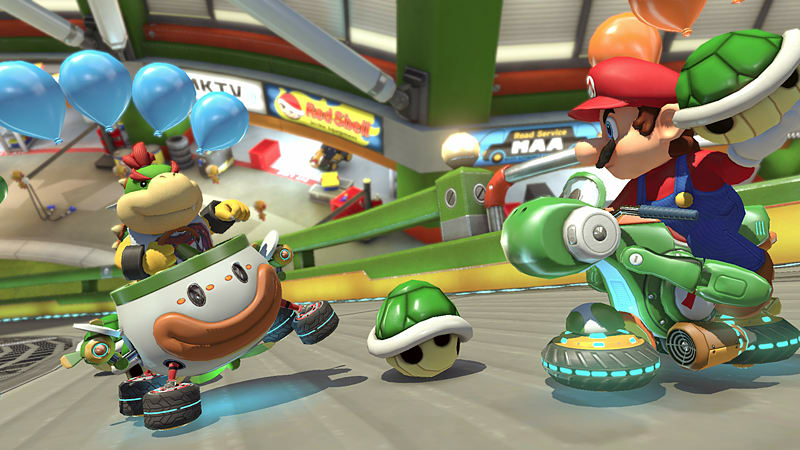 Thanks to Mario Kart 8’s range of accessibility options you can scale the challenge based on your skill set. So whether you’re a racing pro or a first time driver you’re going to have a rip-roaring time behind the wheel. And for those who would rather cut a rug than cut through traffic on the race track, we also offer Just Dance for Nintendo Switch. It’s the newest game in the the hit rhythm movement series that’s all about showing you the dance moves to your favorite pop hits and then letting you take the dance floor.